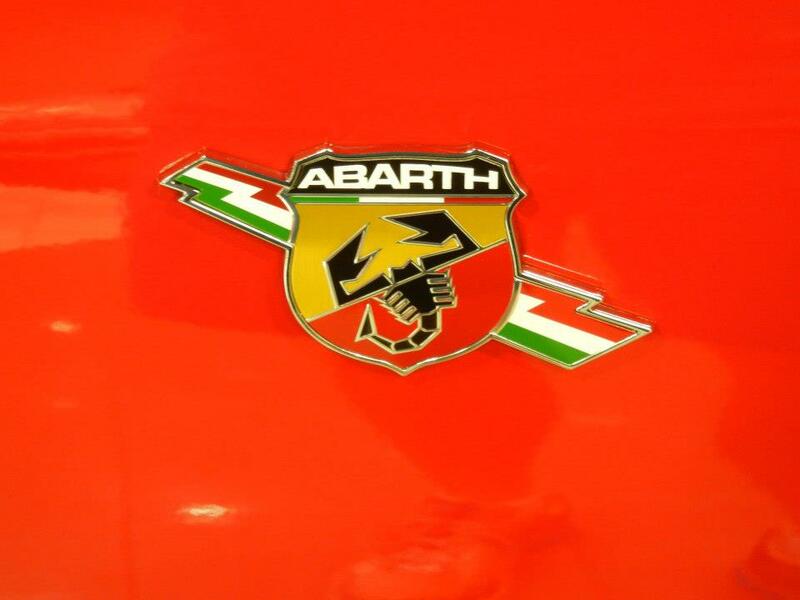 Nixon Motor Sports: Happy Birthday to the NMS FIAT! ASK ME ABOUT MY SCORPION! SCENE: A late night in the past, somewhere in America. MUSIC: The sound of an engine firing up, throttle pedal being tortured by a foot, pressed deep into the floor. NARRATION: "On this date in automotive history...."
CUT!! Wait a minute, it wasn't that long ago, try again. NARRATION: "On a dark and stormy night, somewhere to the south of Charlotte North Carolina, two men set out to..."
CUT! CUT! CUT!! Yuck, are you serious with this? Again. NARRATION: "Once upon a time children..."
STOP! OK, that's rich, now you're just messing with me. Seriously, just write something and keep it real. Tell your story in your own words. 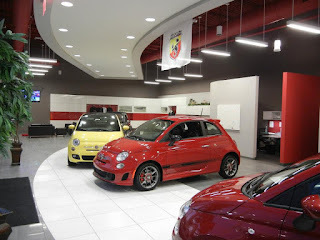 NMS FIAT IN THE SHOWROOM! NARRATION: On September 21st 2012, one of the future drivers for NMS took delivery of a 2013 FIAT 500 Abarth. After ordering the car a few months earlier to get the exact specifications he desired, the intrepid car purchaser got the email, "the car is in, pick it up anytime!" So on that monumental day, he headed north on I-77 from Columbia SC, driving the 2004 Mustang GT convertible for the last time to do the deal. Riding shot-gun was another future NMS driver, and between the two of them they set out to pick up a cool little Italian car. 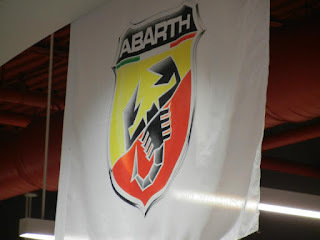 For the past four years, the little FIAT that could has done a great job as a daily driver and autocross car. It has been driven for a few fun laps at Charlotte Motor Speedway, Darlington, Virginia International Raceway, and at autocross events in three states. 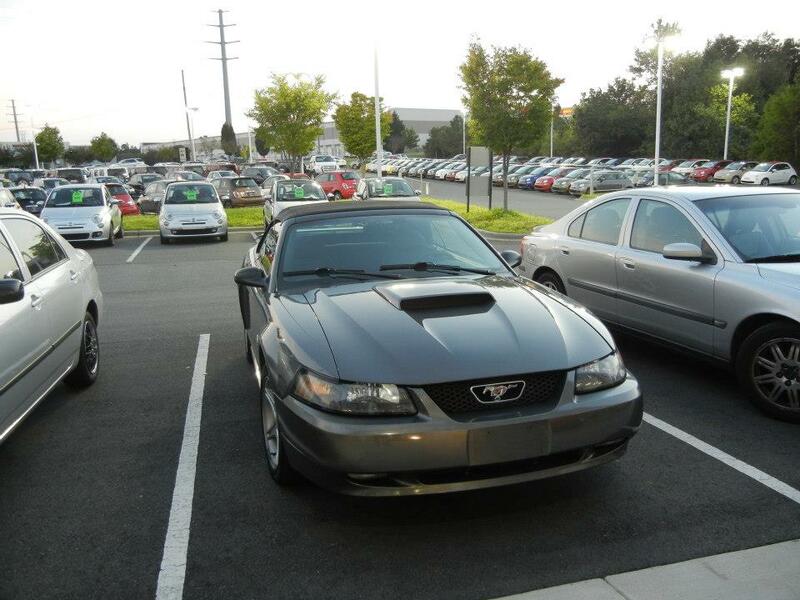 With just under 50,000 miles on the clock, it has been a dependable and very fun little ride. With the pending arrival of the FIAT 124 Abarth version of the convertible two seater Spider, well, you just never know if another scorpion is in the future plans of NMS! Lots of photos of NEW CAR DAY 4 years ago at: NEW CAR DAY!